UPDATE: See the full press releases from the Eureka Police Department and the California Highway Patrol copied below this post. 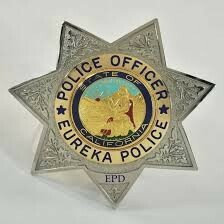 The California Highway Patrol is current investigating an incident in which a Eureka police officer may have run over a transient sleeping on the Balloon Track property, according to Eureka Police Capt. Steve Watson. Watson said an officer from the department’s Problem Oriented Policing unit was patrolling the Balloon Track with a representative from the property owner — Security National subsidiary CUE VI — in an unmarked police car, investigating reports of trespassing and illegal camping on the property. “A person was covered with a blanket and grass and was allegedly — I don’t know exactly what happened — but his lower legs were possibly run over by the car,” Watson said of the incident, which occurred at about 12:45 p.m. The captain said the unidentified man’s injuries don’t appear serious, noting that he refused medical treatment at the scene but agreed to be taken to a local hospital for evaluation as a precaution. Watson said the incident is being investigated by CHP, per standard protocol for accidents involving officers. Calls placed to the local CHP were not immediately returned. CHP Sgt. Martin Abshire confirmed that the man hit by the unmarked patrol car suffered minor injuries, but said he could not provide any additional information at this time. The Journal will update this post as additional information becomes available. For more information on the Balloon Track property, see recent Journal coverage here. The afternoon of Tuesday, April 21, the California Highway Patrol (CHP) Humboldt Area responded to a Eureka Police Department (EPD) police vehicle versus pedestrian traffic collision that resulted in minor injuries to the pedestrian. At approximately 12:00 p.m., a Eureka Police Officer driving an unmarked Crown Victoria was traveling at a speed of less than five miles per hour along a grassy access path within private property off Commercial Street and First Street in Eureka, commonly known as the Balloon Track. A transient, later identified as 30 year old Shane Bowling, was lying under a blanket within tall grass and his legs partially extending into the access path in the path of the police vehicle. The officer did not see Mr. Bowling’s legs and subsequently drove over his legs. Mr. Bowling was transported by ground ambulance with minor injuries to St. Joseph Hospital, where he was treated and released. This is an ongoing investigation by the California Highway Patrol Humboldt Area at the request of the Eureka Police Department. The CHP Humboldt Area is committed to conducting a thorough and impartial investigation into this traffic collision. On 04/21/15 at about 11:56 a.m., a Detective with the Eureka Police Department’s Problem Oriented Policing Unit (POP) was driving through the Balloon Track while investigating complaints of trespassing and illegal camping on the property. The detective was accompanied by a representative of the property owner. Preliminary reports indicate the detective unknowingly ran over the lower legs of a transient male who was trespassing on the fully fenced, private property and sleeping under a grass covered blanket. The detective immediately called for medical aid and the male was subsequently transported to the hospital by ambulance as a precaution. The male later left the hospital on foot after being evaluated for the apparent minor injuries he sustained. At EPD’s request, an independent and objective investigation of this incident was conducted by the California Highway Patrol.